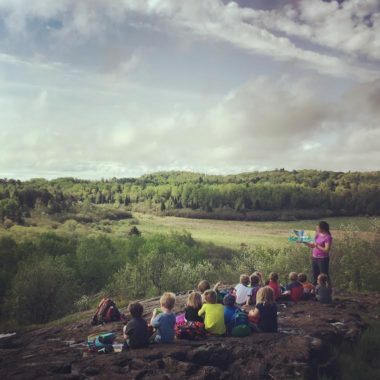 Hartley Nature Preschool’s mission is to inspire life-long connections with nature through education, play, and exploration while supporting the whole child’s development and preparing children for school. Offers a Tues/Thurs AM class just for three and young four year olds! 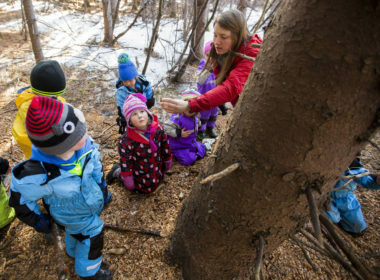 Hartley Nature Preschool (HNP) is located at Hartley Nature Center in Duluth, MN. 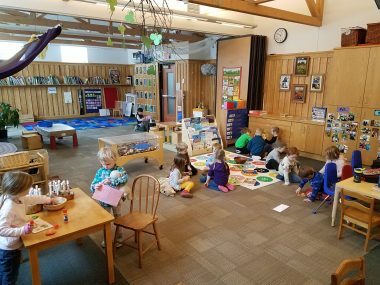 The preschool classrooms, full of lovely natural light and age-appropriate furnishings and materials, are located in the nature center. The nature playscape (natural playground) is located just out the backdoor of the nature center. The preschool also uses the 660 acres of city-owned Hartley Park for learning and play! Information from Green Hearts, Inc.
HNP is a 4 star Parent Aware rated program!